It’s time to embrace the boot into your day to day look, no matter what your style or dress code. The boot is a versatile piece that can be worn with everything in your wardrobe, you just need to have a few options on hand to cover every occasion. We encourage our clients to have on hand a flat boot and a heeled boot, with at least one of these in black, and then expand on that with a colour. 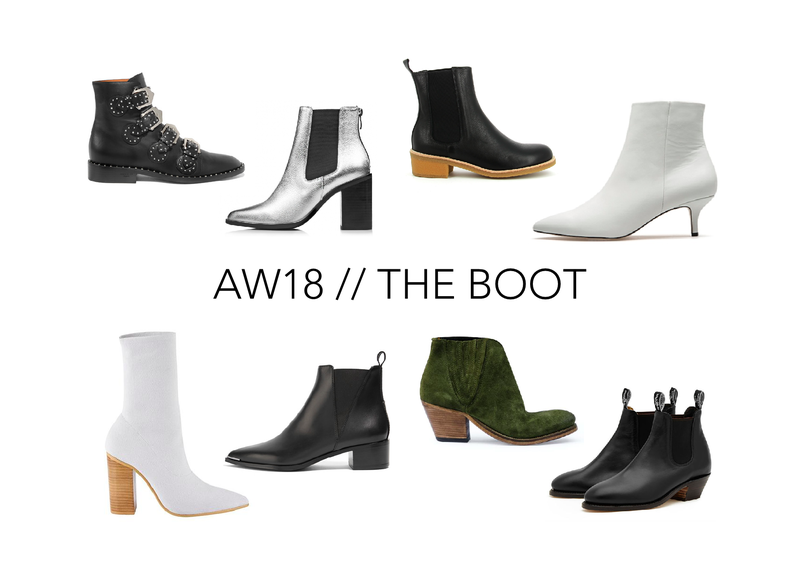 Once upon a time we would be showing you tan boots as your alternative, although in AW18 you’re spoilt for choice. Our pick is a silver or white boot as seen below to liven up your darker winter looks, head to toe black has never looked so good with a ‘hero’ boot to define your outfit. So many fab sales to take advantage of ATM, so have fun changing up your winter style with the all important boot.